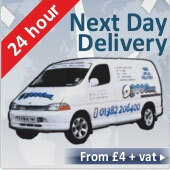 FM Radio - Tune in and listen to your favourite FM radios Stations. 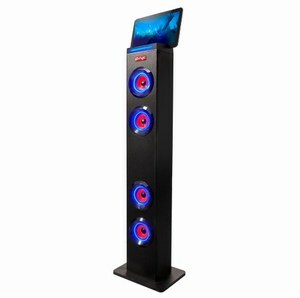 LED lights display - Stylish LED lights that surround all four speaker drivers. Option to turn LED off via switch at back. Docking station - The Built in docking station can hold any sized tablet and phone! High fidelity 2.0 Audio system - Four powerful speakers' drivers that provide high fidelity and top level performance sound using Bluetooth technology. Variety of inputs - Listen to music or videos from several different inputs including AUX and Bluetooth or tune in on your local FM radio.